Social media promised to give each of us a voice and deliver news faster than ever before, in a way that’s not conditioned by mainstream news outlets. While the benefits of social media for the news ecosystem are obvious, it can sometimes do more harm than good. The most recent presidential elections in the United States or the polarizing Brexit referendum in Britain are prime examples. Millions were duped by fake news sites which appeared overnight and died just as fast. Some of the most popular trending stories on facebook were fake. Facebook has always positioned itself against fake news but, at the same time, it has found itself under a vice with freedom of expression at the other end. Now, it has finally come up with a solution by partnering with third-parties like Poynter International Fact-Checking Network, which includes fact checkers like Snopes or the giant Associated Press. 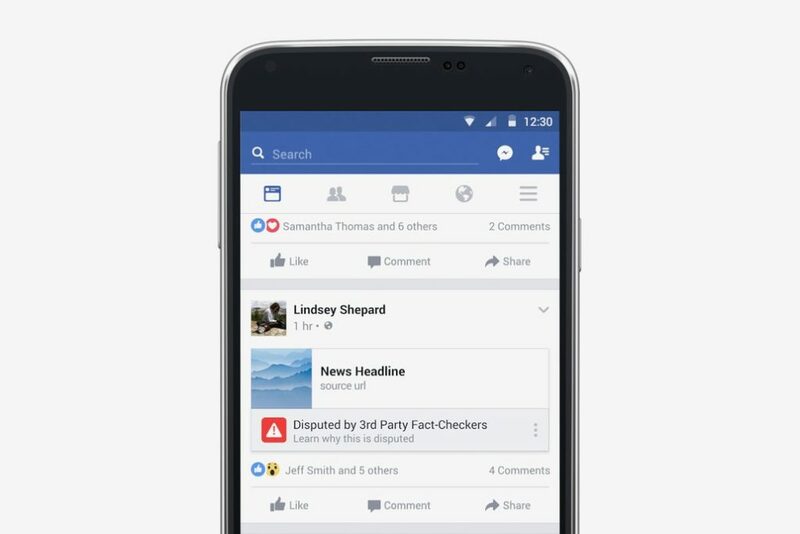 Facebook users can flag stories as ‘fake’ and these will then be sent to the third-party partners which will fact check them. If the story you’re planning to share is considered fake, like news that a celebrity is dead when in fact the person is still live and well, you will be prompted with a notice that it might be fake. Conversely, users who will see your shared story in their newsfeed will also see the notice. Clicking the link will send you to an explanation of why the story might be factually inaccurate. The way the system is set up, stories with the most number of flags and shares will be moved up the list of priorities for the 3rd party partners to fact check. There are also algorithms that automatically flag stories for fact checking based on known patterns such as low share numbers after the headline is clicked. Disputed articles will also be barred from the facebook ad marketplace, in an attempt to crack down on fake news sites which have made quite a deal of money by spreading lies. This way, facebook hopes, spammers will be financially motivated to stop marketing fake news. It sounds like a good strategy. This way, facebook doesn’t look like it’s taking an arbiter role and users can at least have a sense of how genuine news stories are. Controversial stories will not be flagged as fake, as this is not the purpose of the new roll-out from facebook. Personally, I feel like this is a much needed update. It remains to be seen whether or not it will prove effective.